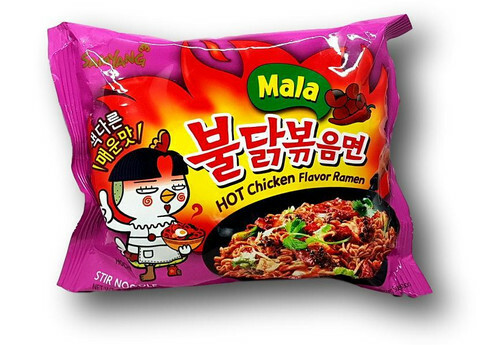 Noodles: wheat flour, modified tapioca starch, purified palm oil, Vitali wheat gluten, refined salt, glycerin, soy oil, emulsifier (E412), purified water, raising agents (E500, E501), antioxidants (E339, E330), emulsifier (E322, green tea flavor oil. 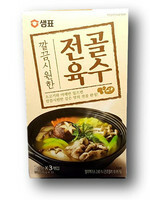 Soup: water, soy sauce, white sugar, artificial chicken flavor, soybean oil, spices (red pepper powder, star anise, fennel, coriander), onion, black pepper powder, refined salt, garlic, maltodextrin, modified potato starch, chinese pepper concertration, chili extract, paprika powder, corn starch, yeast extract. 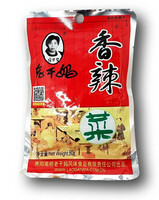 Flake: dried cabbage, dried carrot, dried bko choy, vegetable protein, dried oak mushroom.